Scorpions are not the most common house invaders for most people, but in certain areas, they are quite prevalent. In rural areas, as well as near water sources, households can easily be infested by much more than just several scorpions. It’s not uncommon for even hundreds of scorpions to invade properties and start breeding in basements, crawl spaces, or even walls. Add to that the fact that some scorpion species also pack quite a punch in their stings, and finding scorpions in your home can be quite an unpleasant situation. Fortunately, as with most other insects and pests, humanity has found and invented lots of solutions to scorpion infestations. There are a lot of natural plants and oils that do well to repel them, as well as hundreds of products that are based on them. There are some more innovative and high-tech solutions too, including electronic and ultrasound scorpion repellents. Add those products to a well cleaned, maintained and sealed home and you can make sure that your home is scorpion-free forever. While seeing 2 – 3 scorpions in your yard per week may not be that frightening, seeing dozens of hundreds of them, especially when you know that some of them are highly poisonous can easily warrant the purchase of commercial scorpion repellent products. To help you out in such situations we’ve gone the distance and reviewed hundreds of scorpion repelling products that are currently on the market and have arrived at the Top 3 best products for almost any situation. This doesn’t mean that you shouldn’t do your own research, of course, but hopefully, we’ll be able to save you at least a little time with our suggestions and guidelines. This natural scorpion repellent from Wondercide has everything a homeowner might want to keep scorpions away from their home. It includes no toxic chemicals such as pyrethrins, pyrethroids or permethrins and is comprised of cedar oil and other entirely natural products. This makes it safe for households with children and pets once the product has dried off and it makes sure there won’t be any unpleasant accidents. This also means that it is safe for use in kitchens and other food processing or food storing areas. Additionally, this Wondercide natural scorpion deterrent is also fairly fast acting. The product is advertised as a kills-on-contact spray, and that it works immediately and starts applying its repelling effect right away. 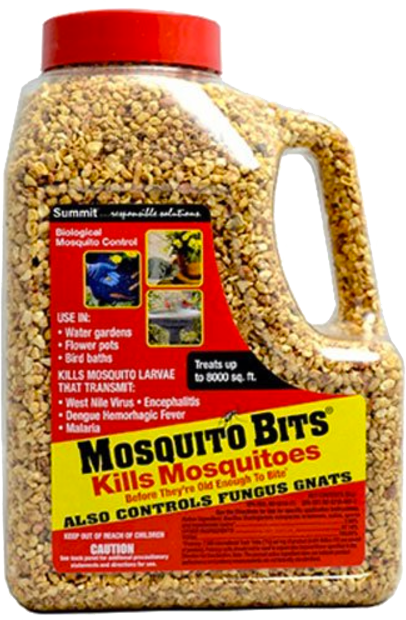 In reality, it works immediately on some insects and slower on others, but it’s still a fairly fast acting product. It’s also non-staining which means that you can safely spray it on your furniture, carpets, baseboards, beddings, mattresses, and other such places. The 32 oz. the bottle is enough to treat about 400 square feet of outdoor space or approximately 2000 square feet of indoor space. Aside from scorpions, this Wondercide scorpion deterrent also works against ants, mites, moths, roaches, flies, spiders, mosquitoes, earwigs, wasps, silverfish, fleas, ticks, and more. Made in the USA, the Wondercide Natural Scorpion Repellent also comes with a 100% money-back guarantee. If you are not happy with the effectiveness of this biopesticide you can simply ask for an immediate refund. Anyone who’s wondering how to deter scorpions from their home and property should keep the Eco-Defense Organic Scorpion Deterrent in mind. Just as with the previous entry in our list, this product is made out of 100% natural products and doesn’t include any unwanted and unpleasant artificial chemicals. This spray is made with essential oils for scorpions, with most of them being peppermint oil. This makes it a great option for kitchens and other food-processing or food-storing facilities, as well as for homes with small children and pets. Of course, the spray is still quite strong as it has to do its job, so avoiding direct skin contact with it while it’s still wet is very ill-advised. Touch sprayed areas once they have dried off, however, is completely safe for mammals. Of course, what deters scorpions also works on all kinds of other insects and pests, so you can expect the Eco-Defense Organic Scorpion Deterrent to also work against spiders, most common house roach types, ants, mites, fleas, earwigs, silverfish, stink bugs, and many other common household pests. What’s more, the spray both kills insects upon contact, as well as offer a long-lasting protection against future unwanted visitors. Lastly, it also comes with a 100% money-back guarantee for 60 days after the purchase. This makes sure that you will always be happy with what you buy and you’ll never be dissatisfied with Eco-Defense. If you want to add an electronic scorpion repellent to your arsenal, consider the QWESEN Electronic Scorpion Repellent. The way this device works is by emitting an ultrasonic sound throughout an enclosed space that repels all kinds of insects, as well as some rodents. 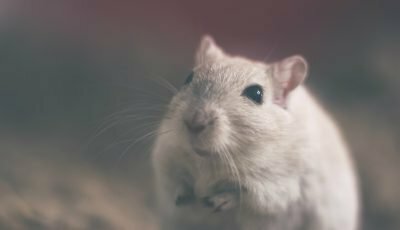 The sound is not detectable by humans as well as by most pets (unless you keep rodents as pets) so it doesn’t affect people’s lives or health in any negative way. It does, however, successfully drive off and repel a lot of types of insect and rodent pests. Since it works entirely with ultrasound, the device is 100% non-toxic and safe for your home and family. 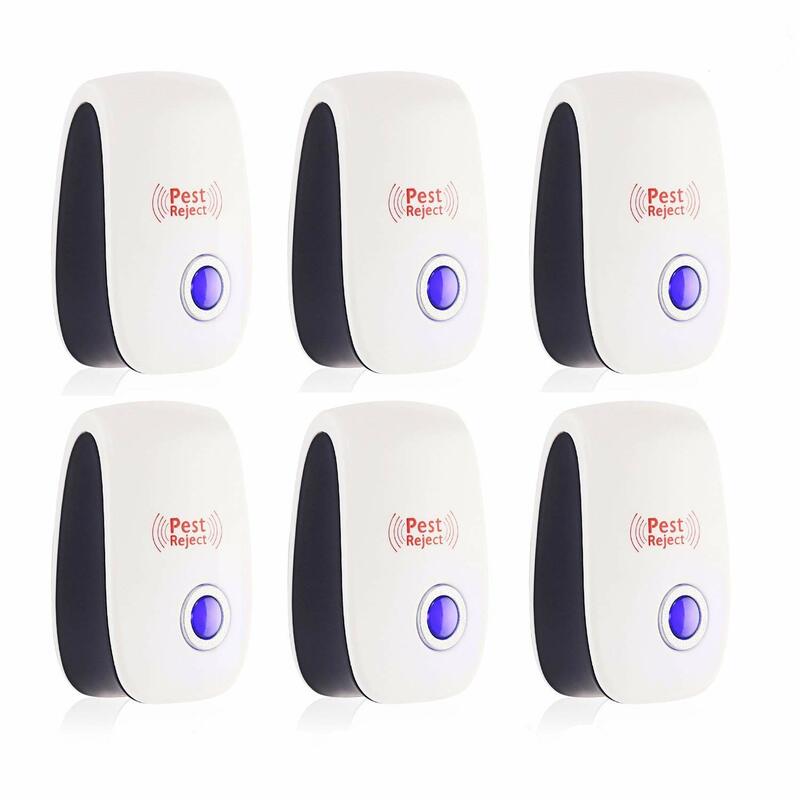 With 6 electronic repellents per product pack, you can pest-proof up to 6 separate rooms with it. Keep in mind that the device works best in fully enclosed rooms within a certain square footage. Too big rooms, rooms with constantly open doors, or rooms with too obstructive furniture will be less effective by the device so you might want to put two ultrasonic repellents in such situations. Another thing to keep in mind with this product is that it isn’t always guaranteed to work on 100%. There are millions of different types of insects and pests, with some being more or less affected by ultrasound. Rodents, in particular, can sometimes adapt to a specific ultrasound frequency and return after a while, especially if they are well incentivized to do so. As far as scorpions are concerned, however, the QWESEN electronic ultrasound repellent is very effective, especially when coupled with other repelling methods. Scorpion repellents work on the same principle as other insect or rodent repellents. Spray repellents include chemicals – either natural or artificial – that kill or repel the pests. Electronic ultrasound repellents emit an ultrasound that is highly unpleasant for them and thus forces them away from the area. And the various traps you can employ simply catch and/or kill them. A good combination of all these methods, together with a proper home cleaning and maintenance can quickly end any scorpion or other pest threat. The only more delicate and complicated part of this is the exact ingredients and scorpion spray repellents. There are lots of different things that manufacturers can put in a spray. 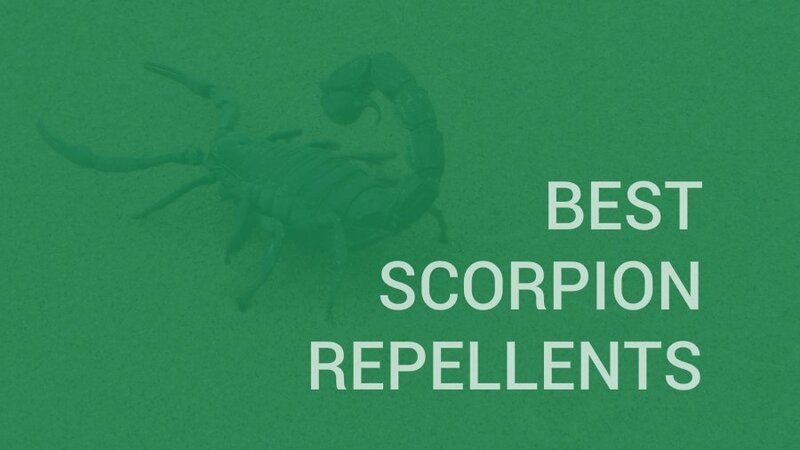 As far as natural sprays are concerned, peppermint oil, lavender, citrus, and other essential oils make up for great ways to kill and repel scorpions, as well as other pests. If you’re looking for something with stronger and more toxic artificial chemicals, there is a lot the market can offer, including the infamous pyrethrins, pyrethroids, permethrins. Keep in mind, however, that such toxic chemicals can be damaging to the surfaces you apply them on, as well as harmful to your kids and pets. This is a big reason why natural scorpion and insect repellents are so popular – most households have either pets, kids or both, so using highly toxic repellents can be tricky. Ideally, you’ll apply them only in spaces where your pets and kids can’t reach, but that limits the repellent’s application. Another thing to consider when looking into combating a scorpion presence is what types of scorpions you’re facing. Scorpions come in approximately 1,300 different species worldwide which can vary a lot in their preferred habitat, in size, in feeding habits, nesting habits, venom strength, and so on. Additionally, they can also vary in the chemicals that they are resistant to. In other words – what can kill or repel one species of scorpion may be useless against another. That’s why it is quite important to first find out what species of scorpions you are dealing with. Scorpions vary in color from yellow and reddish to brown, blue or black. That, together with their size and geographical distribution around the world makes identifying them easier than it might look like at first. Simple take several photos of your scorpion guests and look up online in arachnid forums and knowledge bases what types they are. From there, you can figure out what types of chemicals and other natural substances or repellents work on your particular brand of scorpions and you’ll be well equipped to deal with the problem. Another reason why it is vital to carefully research the exact type of your 8-legged pests you’re dealing with is so that you know exactly how dangerous they are. Scorpions are almost never life-threatening to humans, but there are 25 – 40 species (depending on which literature you’re reading) that have venom strong enough to hurt humans. Particularly pets and children (and especially infants) can be in much greater danger than adults, so finding out whether the scorpions you’re dealing with are dangerous should usually be your first priority. As you can see, buying the right product can often include quite a lot of prep time, but hopefully, this article will save you a fair amount of it. Don’t ignore the “Catch and release” method. We understand that scorpions can be creepy and spraying them to death is a satisfying way of dealing with them, but unless you’ve been overrun with them, consider the “catch and release” option for individual scorpions. Scorpions are actually considered a beneficial predator in nature and returning them outdoors will have a positive effect on your home’s surroundings. Eliminating a scorpion populace from your area can drastically increase the number of other unpleasant insect pests that scorpion feed on and that can be much more dangerous to us and harder to deal with. Fix the holes and cracks of your home. Scorpions are not as nimble as cockroaches so you can effectively stop them from entering your home if you simply wall off their entry points. The space underneath your door, as well as cracks and nooks in your walls, are usually where scorpions enter from and these can be easily sealed shut. 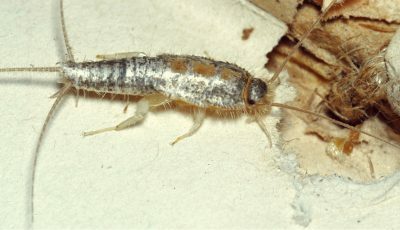 Additionally, you can also make the scorpions’ entry points less inviting – caulk or spray a repellent around holes that you can’t seal off; treat all areas around pipes, drains, fittings, walls, vents, and so on; don’t ignore the ceiling fixtures, since scorpions are actually quite good climbers; pour bleach in the drains of your septic system; treat the outside of the dryer vents, the outside of cables, wires and pipes; fix leaky faucets, pipes and other dripping sources of water; and so on. Don’t kill your house spiders. If you are creeped out by scorpions we’d venture a guess that you’re not a fan of spiders either. However, non-harmful pest-catching spiders often kill a lot of species of scorpions quite effectively, so you can consider leaving them alive. Remember to remove most of their other sources of food, however, such as crickets, cockroaches, ants, cicadas, etc. Plant lavender around your home. Lavender is a miracle plant when it comes to fending off scorpions and other insects. Not only is it beautiful and has a nice aroma, but it’s also widely despised by scorpions and other pests. Plant it in and around your home buy dried lavender plants, get lavender essential oils – make your home a lavender paradise and scorpions will quickly start avoiding it. If you are a fan of citrus plants, they too have a repelling effect on scorpions. Take care of your yard. Scorpions don’t just materialize in our homes, they come from outside. 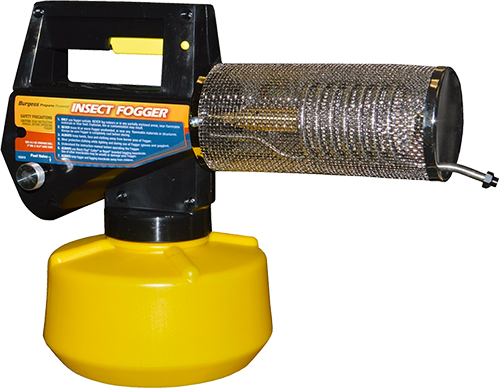 Cleaning up your yard is a good way to reduce the amount of insect home invaders. Scorpions love to dwell in tall grass, in piles of firewood, rocks, and lumber, as well as in compost heaps. Whenever possible, keep all such things away from your home. Mow your lawn methodically and keep the grass short, and remember to prune the bushes and overhanging branches as well as possible. Get a pet. There are thousands of great reasons to get a cat or a dog so we’re not saying that you should get one purely as a “Scorpion-killer”. However, if you were wondering about getting a pet anyway, consider their fondness for killing scorpion a pleasant plus. Cats, in particular, love killing off any insect or scorpion that is large enough to catch their attention and a lot of dog breeds and very fond of killing creepy crawlers as well. Do some night-time scorpion hunting in the yard. Scorpions fluoresce under the ultra-violet light so if you arm yourself with a black light or an ultra-violet light, as well as with some heavy boots, you can do a lot of killing overnight and end some major scorpion nests and gatherings before they’ve even entered your home. Using a scorpion repellent correctly is entirely dependent on its specifics and instructions. With natural scorpion repelling sprays such as the Wondercide Natural Scorpion Repellent or the Eco-Defense Organic Scorpion Deterrent, you usually want to keep your pets and kids away from the freshly sprayed product, but you’re safe to let them around it once the spray has dried off. With other sprays, however, particularly ones that are prepared on a more toxic base, even the dried off product can be toxic for your pets should the lick it, so using such products is only advisable if you don’t have pets or in locations where they can’t reach. Speaking of locations, with scorpion repellent sprays as with marketing, “Location, location, location” is the key guiding principle regarding how you should use them. Spraying the middle of your kitchen floor, for example, is simply pointless most of the time as it will neither stop the scorpions from getting in nor will it stop from walking around. Instead, focus on spraying the nooks, cracks, and crevices where the creepy crawlies enter from. Focus on darker and damper places as well, since most species of scorpions prefer more moist places. If you want to spray a scorpion directly and kill it, make sure you spray it sufficiently, especially if it’s a rather big one. Keep in mind that even a lot of sprays that are advertised as “killing instantly” don’t usually kill scorpions instantly, but it may take a while, especially with a more natural-based product. As far as electronic ultrasound products such as the QWESEN device we showcased, they all have detailed instructions that you’d want to read quite carefully. To be as effective as possible you’ll always want to place them in rooms of the suggested square footage, their doors shouldn’t be left open, and the furniture shouldn’t be too obstructive. Good ultrasound devices can work around and through most furniture, but there’s no need to make their job needlessly harder if you can avoid it. 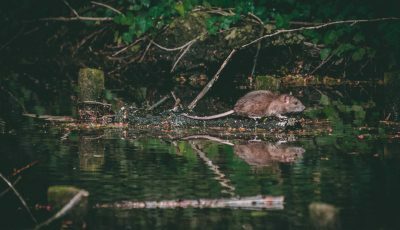 As far as traps such as sticky and glue traps, bait bags, and so on – putting them in the right location is of course of the utmost importance, as is handling them with care. Be very mindful when throwing away a bag of scorpions as a lot of species can sting quite painfully. Killing and repelling scorpions can be a time-consuming and troublesome process, especially if you are swarmed with them, but there is always a way to do it. Either with just one good scorpion repellent or with several used in unison, if you are persistent enough, you’ll eventually manage. There are a lot of different ways to try and combat a scorpion infestation – repellent sprays, electronic ultrasound devices, glue traps, essential oils and plants, simple burlap bag traps, and many others. Keeping your home clean, sealed, and scorpion-unfriendly is always a good thing too. The products we listed at the beginning of the article are among the best possible solutions to a scorpion invasion, so adding them to your arsenal is usually a good idea. 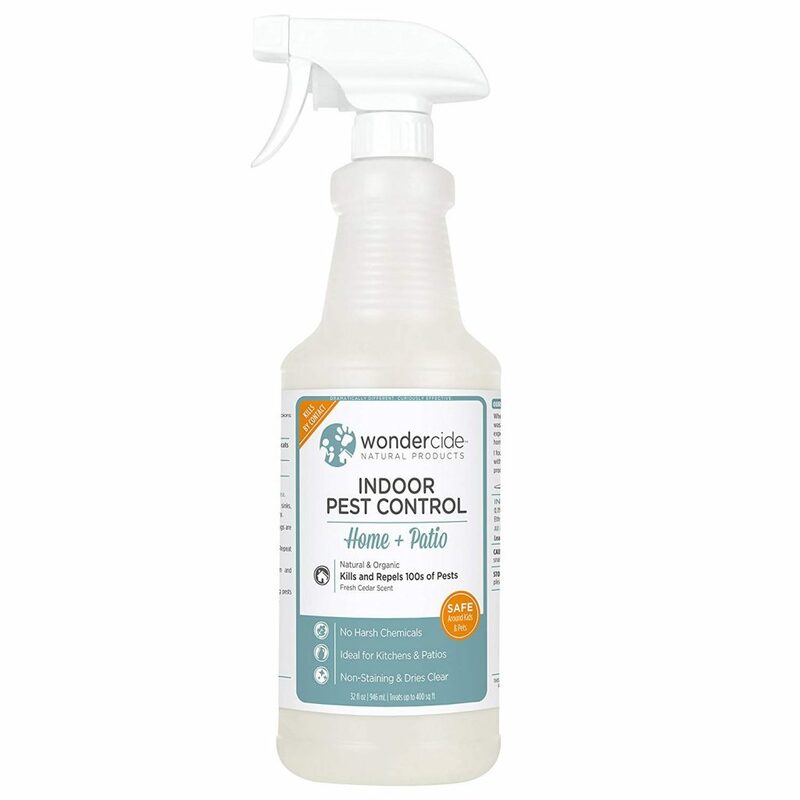 The Wondercide Natural Scorpion Repellent is a highly effective natural solution to most scorpion problems. It doesn’t include any unwanted chemicals such as pyrethrins, pyrethroids or permethrins but is instead based on cedar oil and other essential oils and plant extracts. These give it a lot of kick against a lot of types of insect pests, including scorpions who cannot stand such plants and oils. The repellent offers on-contact kill potential against a lot of pests and a long-term repelling effectiveness. Similarly to the Wondercide repellent, the Eco-Defense Organic Scorpion Deterrent is based on entirely natural ingredients, mainly peppermint oil. This makes it highly effective against scorpions and other insect pests, as well as safe for people and pets once it has dried off. It even has a very good on-contact kill potential against most insects, as well as long-lasting repelling effect. If you are looking for an electronic solution to your scorpion problem the QWESEN electronic ultrasound repellent works against all kinds of household insect pests, as well as scorpions. It emits an ultrasound that is undetectable for people and most pets (unless you have rodent pets) and doesn’t affect us in any harmful way. It is very unpleasant for scorpions and insects, however, which makes it such a great choice in your combat against them. Still, some pests are known to adapt to the ultrasound so using this QWESEN product in conjunction with another repeller is always a good idea.